can our generation make a difference? I'm sure it's common knowledge at this point, but these past couple of years in the United States have been chaotic. There are families who no longer talk to each other since the 2016 election, debates and controversies surrounding transgender individuals and bathrooms, insane Twitter wars, and not to mention radical left and right movements butting heads and even leading to violence. People are physically fighting each other, and for what? What does violence and lack of communication do for anyone? Does it have to be this way? For one side to "win," must the other "lose?" Perhaps there is another way. Maybe, through dialogue, we can learn to coexist, despite our differences. The Tolerance Means Dialogues want to create a discussion so that every voice can be heard. Most importantly, they want students to speak up and find common ground with one another, even during these times of great cultural and political tension. Dialogue events have been held at many schools, from Pennsylvania to Alabama, with the most recent on Constitution Day at my school, the University of Illinois at Urbana-Champaign. I was able to attend the event and listen to many different speakers talk about the challenges we face in our nation, and what we can do. They welcomed people of all nationalities, religions, sexualities, and identities to be a part of the conversation, and – most importantly – did not turn away someone for their differing opinions. Students from Uganda asked questions, as did students who grew up in the suburbs of Chicago. Self-identified conservatives who support gay rights spoke, and students concerned for a more inclusive America of whatever political stripe. Things are rarely "black or white," and people's views certainly aren't that way either – we can embrace all our differences and create a better tomorrow for all people and of all identities. Tolerance Means Dialogues believe that in order for this idea to become a reality, we have to start the dialogue and listen to one another. We can understand and respect one another without agreeing on everything. We have to start the discussion now, despite these difficult times, so that we can work toward something better. What does tolerance mean to you? 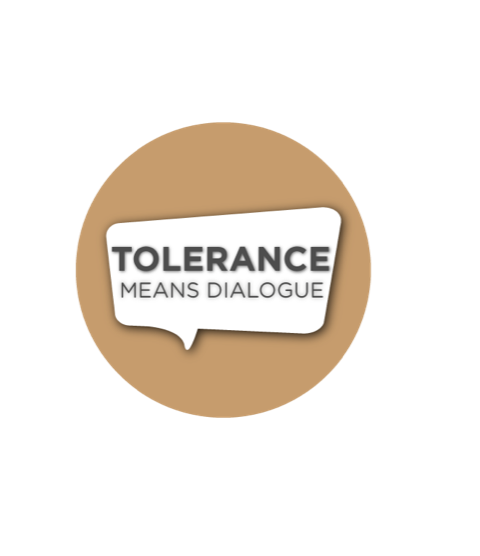 If you're interested in a $750 essay scholarship and a national platform for your voice, check out the Tolerance Means Dialogues Website.